Bonnie Anthony’s 9 x 12 “Pekoe”, Starr Miller’s 18 x 24 “Shadow Play” and Mary Sexton’s 12 x 9 “America’s Mountain” were accepted into the show put on by the Pastel Society of Colorado. Find more information about PSC here. Bonnie Anthony, president of PPPS, won an Honorable Mention award for “Pekoe”. The juror and judge was Marla Baggeta; her work can be seen at MarlaBaggeta.com. Only 80 pieces from over 300 were selected for inclusion in the show. There are many exceptional paintings on display. 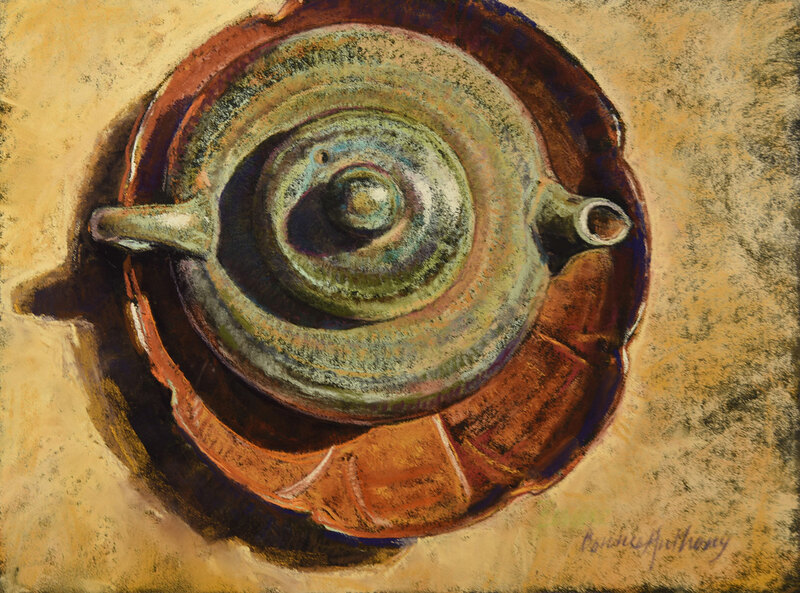 The 14th Annual Mile High Pastel Exhibition runs from July 12 until August 27, 2018, at PACE, 20000 Pikes Peak Avenue, Parker, CO 80138. If you can’t make it to the show, you can view the catalog here.